We supply, install, and rent outdoor AC air conditioners, Outdoor coolers and outdoor cooling solutions with best quality service, as we are located in Dubai City. we can supply outdoor cooler rental in dubai very fast.we provide efficient portable air conditioners, Floor standing , misting fans , and evaporative cooler can save up to 70% in power consumption, it is more environment friendly and offers more comfort than traditional AC systems. The Power consumption for standard air conditioner for the best energy efficiency is true for almost all our outdoor air cooler models. Our climate control solutions do much more than Cooling : outdoor heaters, outdoor heating, humidification and air cooling from fine dust in the air. our air conditioners makes the indoor climate perfectly healthy for commercial outdoor cooling applications. we offer maintenance free Evaporative cooling systems and work for years without repairs. Convince anytime, anywhere in UAE (Dubai & Abu Dhbai). This is made possible by the multiple rental services provided by us before, during and after the purchase. 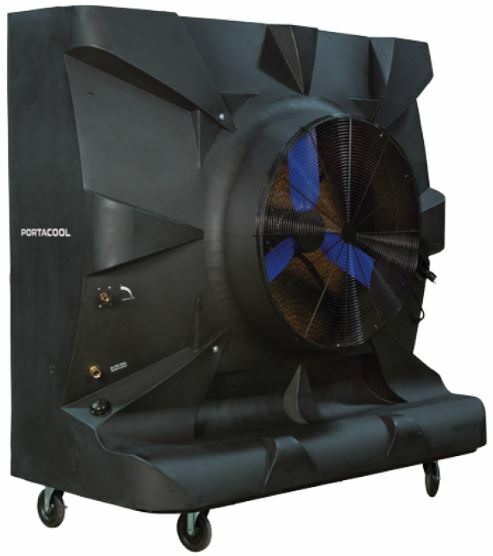 we have air cooler system of any size solutions.Both for private use as for the commercial applications, our team offers the optimum solution according to your needs. let us advise you by one of our cooling systems specialists in Dubai. The Best Option for Outdoor Cooling is evaporative outdoor coolers if it is hopeless to make use of the air conditioner. Using outdoor Coolers in Dubai can Do Much More Than Make you Cool ! Even in Dubai hot climate where a lot of people call it as quite extremely hot. If the extreme heat actually exists, your outdoor event will not lose its charm. Our evaporative outdoor air coolers (and possibly spot AC’s) are there waiting for your call in Dubai, Abu Dhabi, Sharjah or anywhere in the UAE. We always Ensuring that outdoor coolers are assembled nicely ,analyzed and ready to use. Noise wise also,our outdoor evaporative air coolers creates not as much sound in comparison with a standard AC components. This water air cooler are available in a selling price assortment of AED. Air cooler is well suited for house use. Irrespective of whether you can work with a water cooler on your property, office or Garden, you probably will need to ensure you’ve got made the finest potential option. The cooler also contains an organizer tray on top to get numerous private things to be place on the cooler. For many that have bought a little cooler, it is possible to use several people to lift the cooler and place it about the platform. There are several people which can be picking Outdoor cooler because they are an easy task to put in and are energy-saving. As well as the environmental gains and health benefits, they also simple to steadfastly keep up as well as the expense of setup is half as much as the fee to set up a central air unit. They’re made employing a simplistic layout, so they have been really low maintenance. They may be distinct from air conditioners as they work otherwise to cool your house. In low-humidity areas, evaporative air coolers could possibly offer an energy-saving and all-natural means of cooling system. All coolers have refillable water tanks which are readily reachable. Mobile coolers are incredibly much in demand as they could possibly be fitted any location in the space based on our convenience. The swamp coolers use electricity 75% less as opposed to conventional air conditioners. 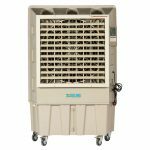 Most evaporative cooler for company functions are created using distribution cassettes in addition to every vertical bank. In case the belt is worn, you need to replace it. Most women and men purchase belts of lower or greater tension that can slowly break. If purchasing pads make sure to buy the perfect size. This assembly must be cleaned and sanitized once per annum. To prevent hot air from getting to the room you could possibly repair panels round the cooler. It may be situated in addition to your own walk in cooler, in a distant area, as well as beneath, based in your gear. The conventional error made, just like with air conditioning components, is that people believe that purchasing a more impressive unit, that they’re in turn getting a much better deal. The PC atmosphere-compressing units are recognized to carry out flawlessly. Using a bundle system, all parts have been in a one outside unit that may be situated on a floor or roof. 1 excellent characteristic of the mobile swamp cooler is how these coolers use evaporation to generate cool atmosphere, as an alternative to using a lot of electricity to produce a little cool atmosphere. This manner is the easiest way for the cooling functions. When buying a cooling system to your property, there are a lot of factors. Its always better to judge your demand before going rental. The initial prices are low. The significant energy savings alone be evaporative cooling system an improved alternative in comparison to refrigerated cooling system which uses a huge number of energy. Another added advantage of the type of ducting is the avoidance of foreign particle build-up inside the ducts, due to combination of the higher speed atmosphere, along with the lack of tough corners. There is an assortment of advantages of private coolers. Air conditioners are expensive and you also got to bear a first-class electricity price when utilizing an air conditioner. They demand a good investment, relatively. Even the top evaporative air cooler cannot try this. It’s an easy task to use tap water with this particular form. Whenever choosing a swamp cooler, it’s important to be mindful the units air moving capability, and setup and care demands. Double check whatever you’ve got done. Since it could be handheld, its an exceptional option to make use of outside. Installing both these systems is incredibly simple and simple. Much like any gear, at times it’s going to become crucial to make repairs. This machine must be your greatest choice once you happen to be seeking a cooler to get a wider region like a warehouse of factory. You might be in a position to cool only the sections of the area where you are. 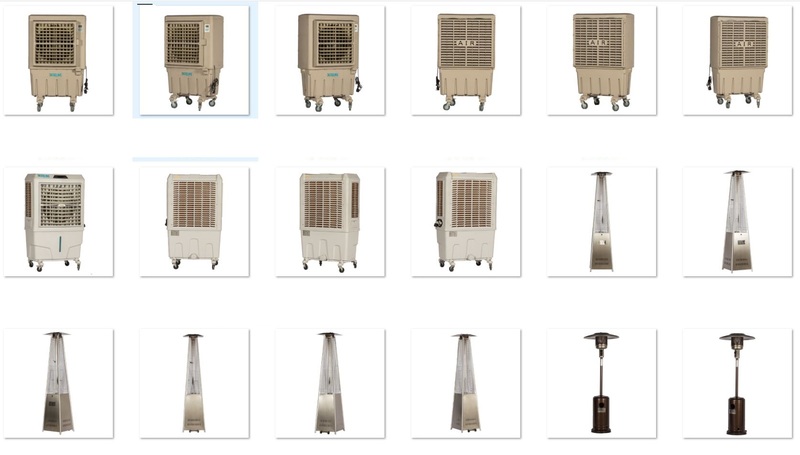 The function of the evaporative air coolers is cooling air using water to cool the air. They are portable and easily manageable devices. There are recommended models to fit inside and others to also use them outdoors. Must have a good ventilation. Evaporative air coolers or conditioners should be used in rooms with doors and windows open for fresh air, not to accumulate moisture and be efficient. Fill the water tank to allow the process of evaporation. 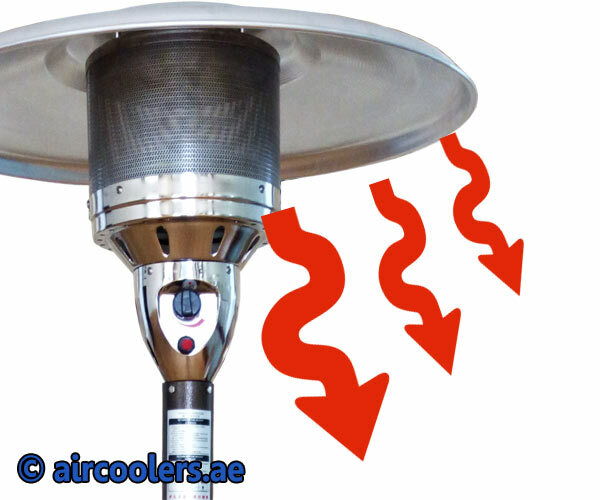 Less humidity in the environment, leads to get more effeciency to reduce the temperature using evaporative cooling. The first thing that must be taken into consideration is that an evaporative air cooler is not a traditional air conditioner (even though some people call it outdoor A/C). What some calls “outdoor Air conditioners” are actually evaporative air cooling systems, i.e., that cool the air through water evaporation & temperature to built a reservoir of water and ice. 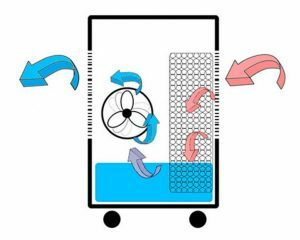 Evaporative cooler apparatus absorbs the air in the room and goes through a wet filter that makes it cool air that is expelled to the stay by a fan. -They are portable, easily manageable and, therefore, do not require facilities or works. 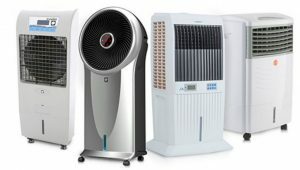 -The consumption is lower than that of the conventional air conditioner (can save up to 80% of energy with respect to the use of air conditioning). Spending ranges between 60 and 180 Watts depending on the model. Its price is also less than air conditioning. – Do not use refrigerants or compressors. -In addition the air conditioning units maintain comfortable relative humidity in the environment. 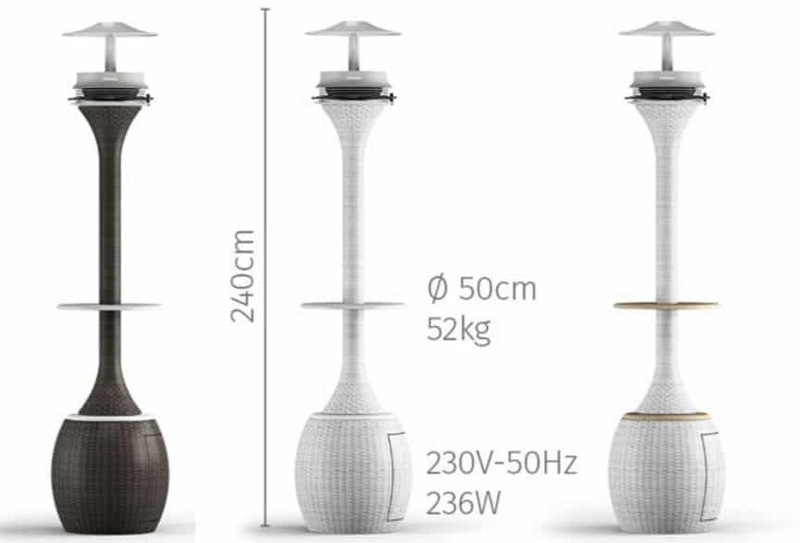 – Eliminates static electricity from the environment. – Renewing the air inside by an air cleaner, fresh and filtering, avoiding smoke and odors. Evaporative air coolers are recommended for homes that support a hot and dry climate. It is contraindicated in those places where there is high humidity. In fact, there is to ventilate the room frequently to avoid condensation of moisture and so the air conditioner to cool new air repeatedly. This continuous ventilation of the room allows to expel warm and stale air and prevents the entry of dust from the outside. -In dry climates they may lower the temperature between 10 and 12 degrees. -In humid climates, between 5 and 7 degrees. In this sense, the more dry sea environment, greater will be the cooling and, therefore, greater the consumption of water also. The criteria that you should keep in mind when choosing an evaporative air conditioner is if you need it for use indoor or outdoor of the House and the square meters to be air conditioned. -For a stay of between 10 and 15 m² a 100 w cooling unit is needed. -For a stay from 20 m² (such as a living room) is sufficient for a 150 w cooling unit. -In the case of heated outdoor you need a unit with more power and a plug to connect it. Some models allow you to connect a hose directly to renew the water. It is necessary to carry out a review, cleaning and disinfection annual deposit of water. He is recommended, in addition, a last test of the appliance at the end of the season.